Talks with the IMF began soon after Imran Khan's government was appointed but a package has been held up since. ISLAMABAD: Pakistan is likely to secure an International Monetary Fund (IMF) bailout soon to stave off a balance of payment crisis and help shore up its economy, Finance Minister Asad Umar said on Monday, as talks between Islamabad and the fund continue. That meeting ended with a pledge to continue talks, and while there had not been any indication of a breakthrough, Umar said an agreement was coming into view. "Our differences have narrowed," he told business groups in the northwestern city of Peshawar. "It seems we have come very close to having an agreement with the IMF." 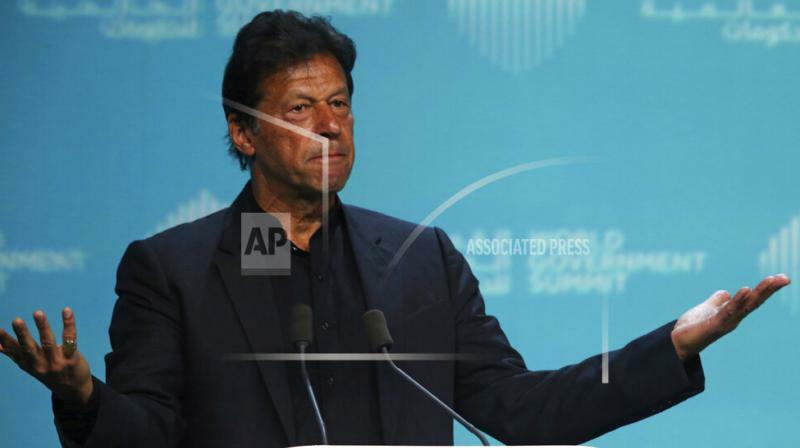 Talks with the IMF began soon after Khan's government was appointed last August but a package has been held up by differences over the pace and scale of reforms that Pakistan would be required to undertake. The IMF has pressed Pakistan to improve tax revenue collection, bolster foreign currency reserves and narrow a current account deficit expected to top 5 percent of gross domestic product this year. Pakistani officials say they agree on the need for reforms but do not want to sign up to conditions that would derail the economy, with growth set to slow this year to around 4 percent from 5.2 percent last year. Khan has long resisted foreign loans, once declaring he would rather commit suicide than seek an IMF loan. However Pakistan's fast depleting foreign reserves and a widening current account deficit left him little choice than to seek international assistance. While no IMF package has been agreed, Pakistan has raised more than $10 billion in loans and credit arrangements from Middle Eastern allies such as Saudi Arabia and the United Arab Emirates as well as support from China, its partner in the vast China Pakistan Economic Corridor project. The economic turbulence facing Pakistan was underlined on Monday when Moody's Investors' Service cut its outlook on Pakistan's banking sector to negative, citing the banks' large holdings of government bonds "that link their credit profiles to the low-rated government." It noted that the Pakistani rupee had depreciated by 30 percent against the U.S. dollar, interest rates had risen by 450 basis points between Dec. 2017 and Feb. 2019, and inflation was rising; "all factors which affect business and consumer confidence and the private sector's debt repayment capacities." Earlier this month, Pakistan's credit rating was downgraded by Standard and Poor's, which cited diminished growth prospects and elevated external and fiscal stresses.